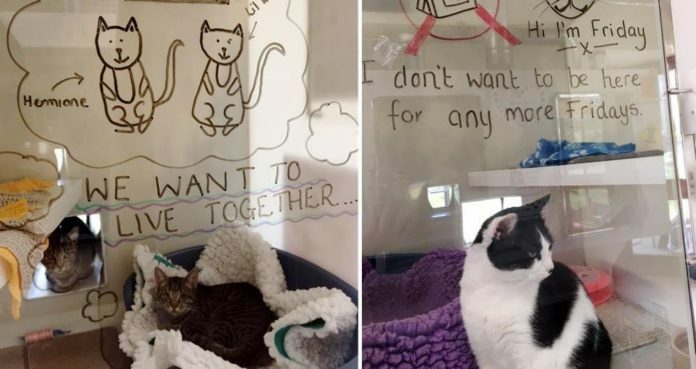 Many cats at the RSPCA (Leybourne) had been waiting for their forever homes for too long, so the shelter staff came up with a creative idea to help them get adopted. 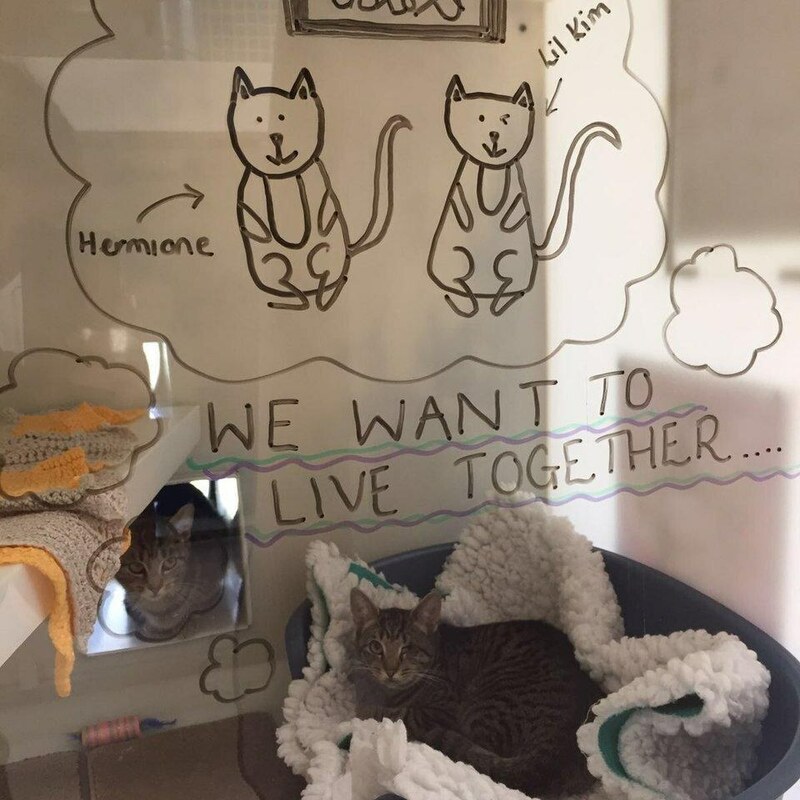 In order to help shelter cats get their voice out and find them homes, RSPCA Leybourne Animal Centre (in West Malling, Kent) came up with an idea to illustrate the thoughts of their deserving shelter kitties. 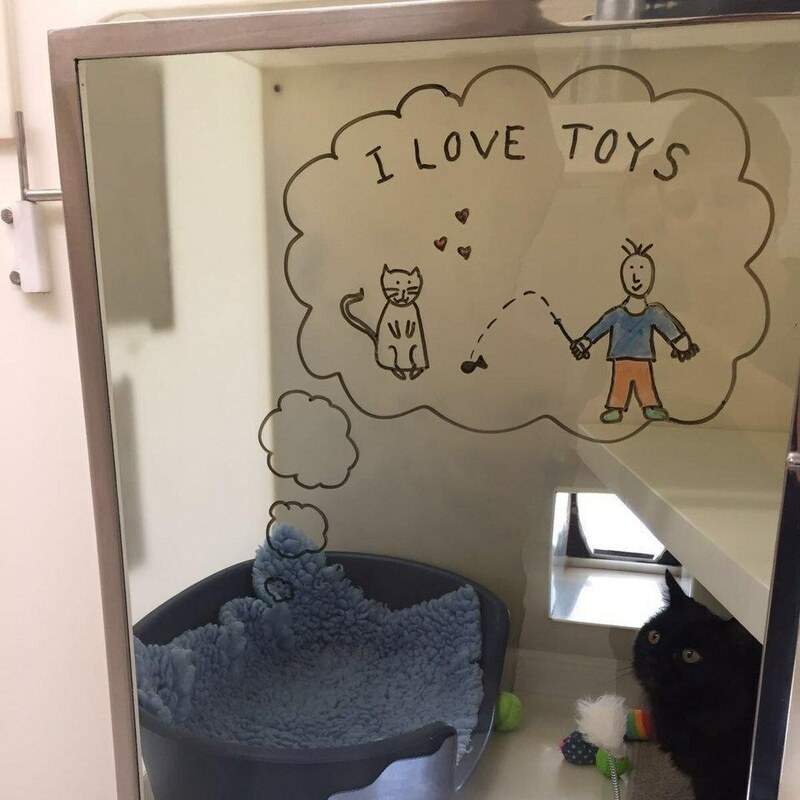 They decorate the kitty pens with creative art pieces about the cats, their personalities and desirable homes. 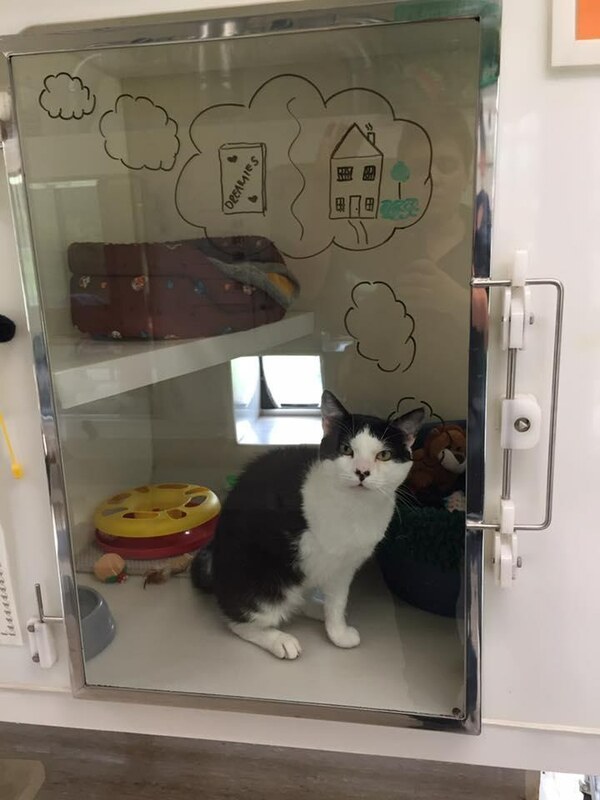 “The staff have been busy doing the decorating in order to help show the cats off a bit more and give more information about them,” RSPCA Leybourne Animal Centre told Cat Concerns. 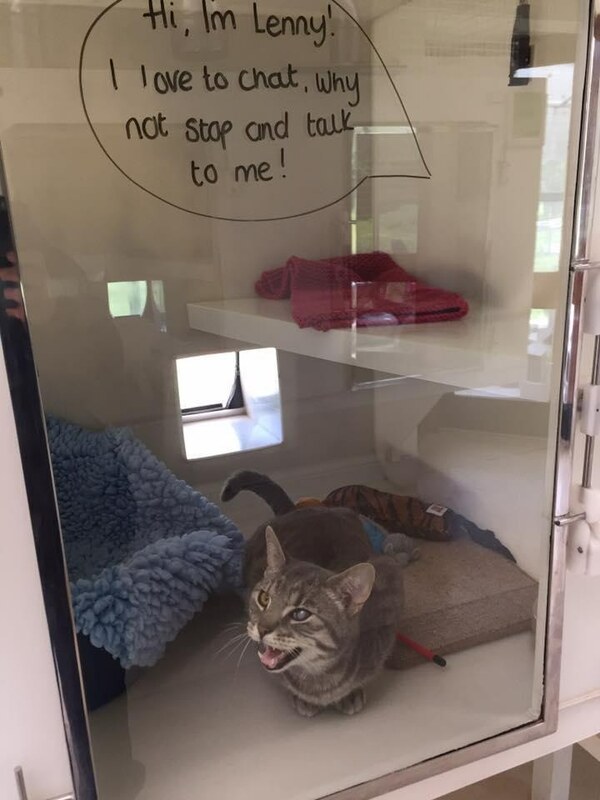 Every kitty at the shelter is different. 3-year-old Friday has been there for a long period of time and can’t wait for a place to call his own. 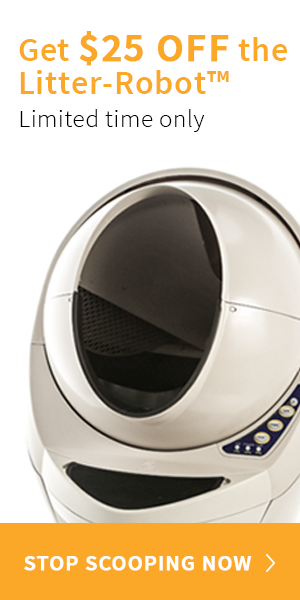 Lenny is a chatterbox and loves a good conversation. 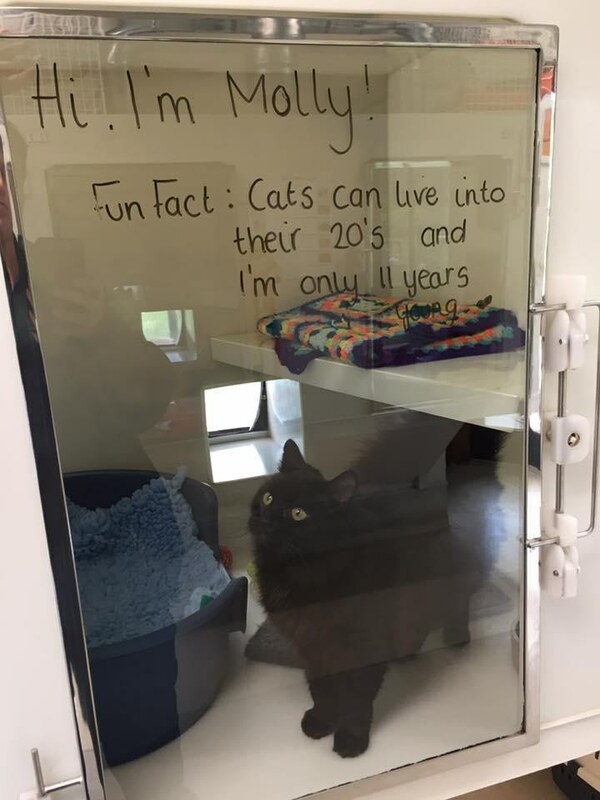 Molly is an affectionate panther kitty, looking for a loving home that adores an older cat. 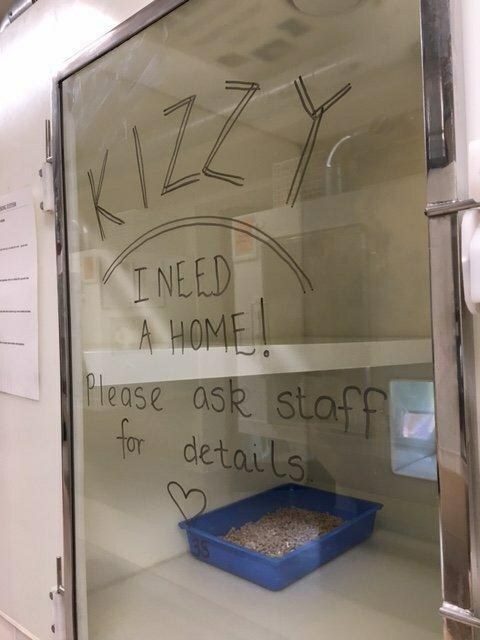 Kizzy is a bit shy and nervous at the shelter because she needs a loving home to thrive. 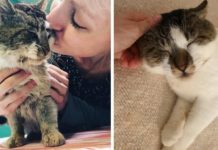 This three legged kitty, Henry, is dreaming about a forever loving home! 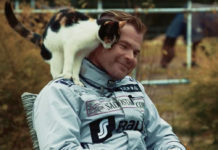 Share this story with your friends. 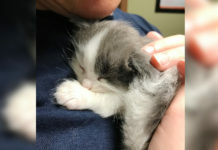 If you are interested in adopting, click here for more info. 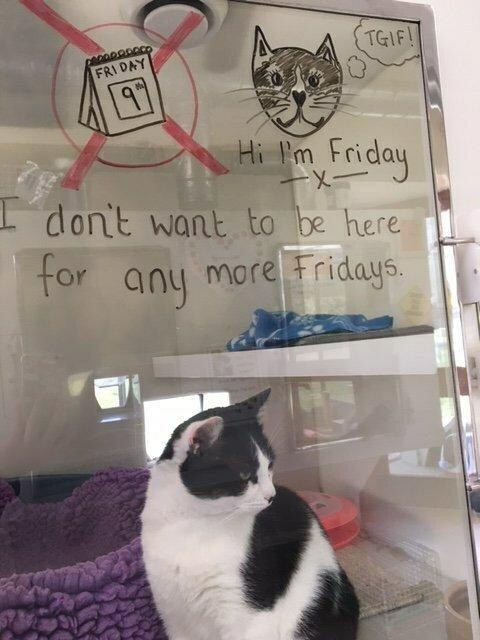 Follow RSPCA Leybourne Animal Centre on Facebook.